We would like to extend a thanks to our delegates and top-class speakers for attending this year’s Research Conference that was proudly sponsored by Excellerate JHI. Without your support this event would not have been possible. We look forward to welcoming you back in 2020. 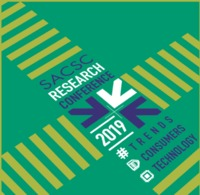 Save the Date: 06 May 2020, Maslow Hotel, Sandton, Johannesburg. Please take a moment to complete the online survey as your feedback is important to us and stand a chance to win a R2000 shopping voucher. If you missed any of our speaker’s insightful talks, download the conference summary highlights by our conference facilitators, Gugulethu Mfuphi & Bronwyn Nielson.